An official fact from the AHA (American Heart foundation) stated that concentrating the implementation of CPR skills in certain neighborhoods prone to cardiac arrests could save a lot of lives. This is true considering the fact that more people would be prepared in the event of an arrest affecting one of their family members or neighbors in the society. The rate at which victims of cardiac arrest outside hospital settings in the US survives vary from one state to another. A small sample will clearly indicate this by showing the difference; take 16% in Seattle and 0.2% in Detroit. This can be mostly attributed to the demeanor of the onlookers. Some opted to help out by administering CPR while others would panic and therefore be unwilling to either offer help or administer the procedure effectively. It is in essence believed that for every 30 witnesses present at a scene, a single life is saved. This is quite a huge figure with the association looking to lower it so as to improve the survival rates of victims. It’s also considered that there is a 40% probability that witnesses and onlooker at the scene will provide some help by giving the victim CPR. The figure does differ marginally from one region to another due to uncontrollable circumstances. It’s up to communities to pick out neighborhoods known to have a high occurrence of field or out of hospital cardiac arrest cases. They should also consider paying attention to the potential ability possessed by onlookers to successfully perform such a procedure should they be called upon. This will prompt them to step up or heighten efforts to empower people on CPR skills, techniques and knowledge. Such an incentive isn’t that hard to achieve and can be aided through utilizing geographical data system which indicate the longitude and latitude of areas with high occurrence. Dr. Comilla Sasson assumed that their ‘one-size-fits-all’ advances, covering the entire place with CPR empowerment would have everyone acknowledged. This was unfortunately not the case as data shows the method was as equally effective in all areas as earlier anticipated. Sassion further stated that a number of people would shy off from performing such a procedure due to certain reasons such as lack of knowledge on Good Samaritan laws. There was also the fear of getting sued should they administer the procedure incorrectly and eventually cause harm. People were also more concerned with immigration status as a compromising issue to administering CPR. 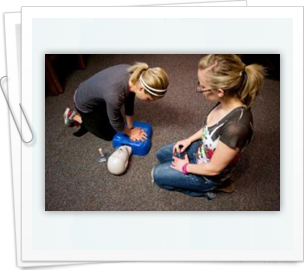 In poor neighborhoods, CPR administration was very low. The comparison between neighborhoods consisting of certain race was intriguing with white folks having a higher CPR rate as compared to African Americans and Hispanics. This meant that both African Americans and Hispanics performed CPR less on victims as compared to white people. The recommendation issued encouraged introduction of well planned and strategized programs for operators at 911. They would help them in guiding bystanders and helpers in administering the procedure and offering other forms of help that might increase the survival rate of victims. He concluded by saying that rate of survival in the US has stagnated for approximately 30 years. There should therefore be the need to come up with new methods in order to increase the rate of survival among victims.